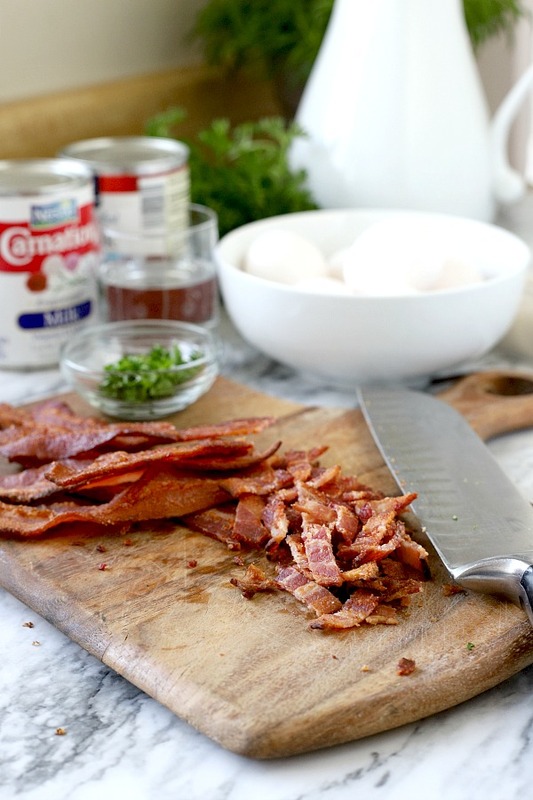 Begin by cooking bacon until crisp and chop into pieces. 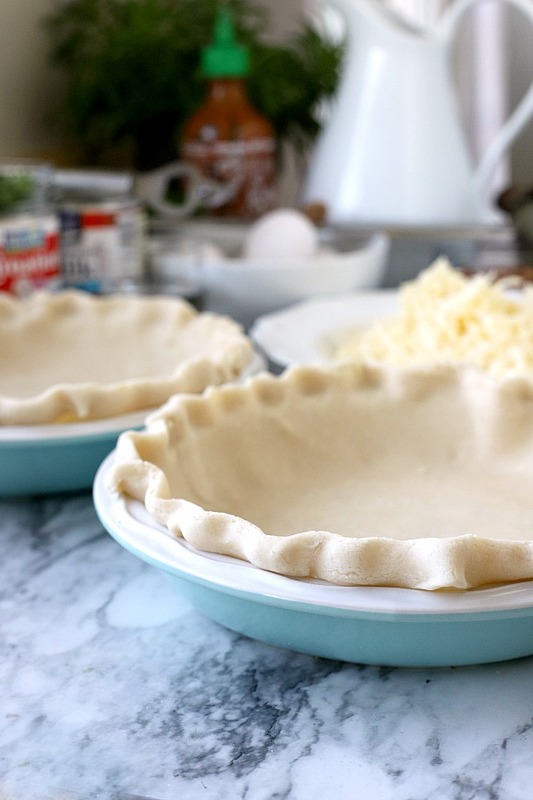 Line a pie plate with a homemade or purchased pie crust. 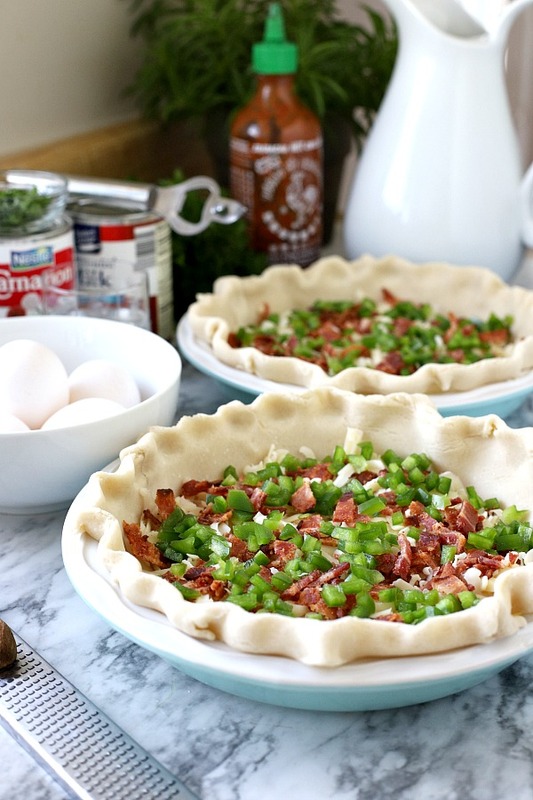 Line the unbaked pie shell with cheese, bacon and green pepper. Lightly whisk milk, eggs, water, nutmeg, oregano, salt, pepper and Tabasco together. 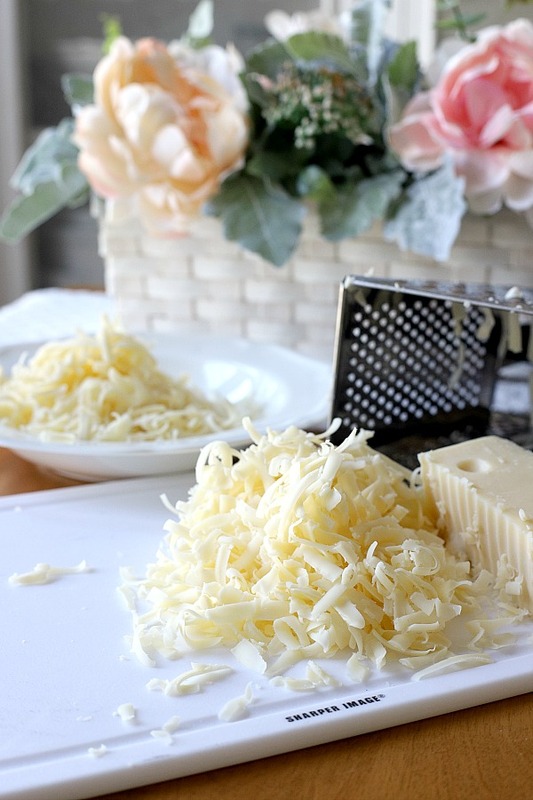 Pour mixture over cheese and sprinkle with parsley. Bake for 30-40 minutes or until center has stiffened. 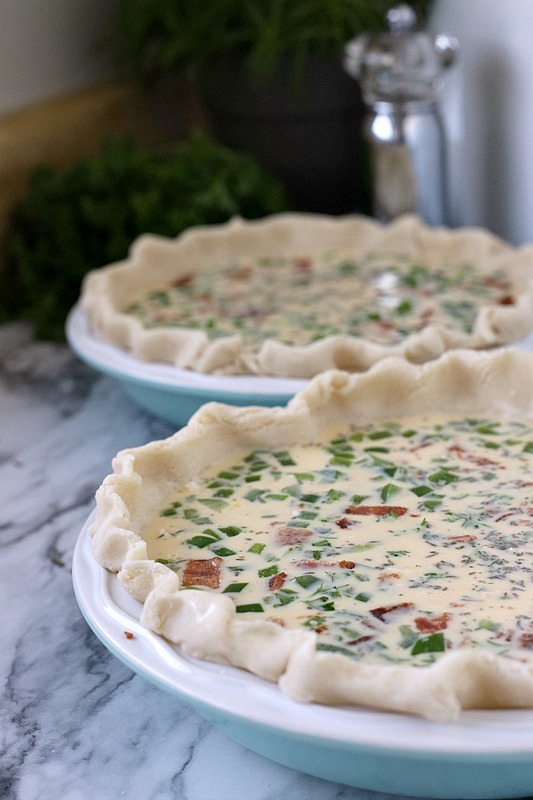 Remove from the oven and allow quiche to rest for at least ten minutes before serving. 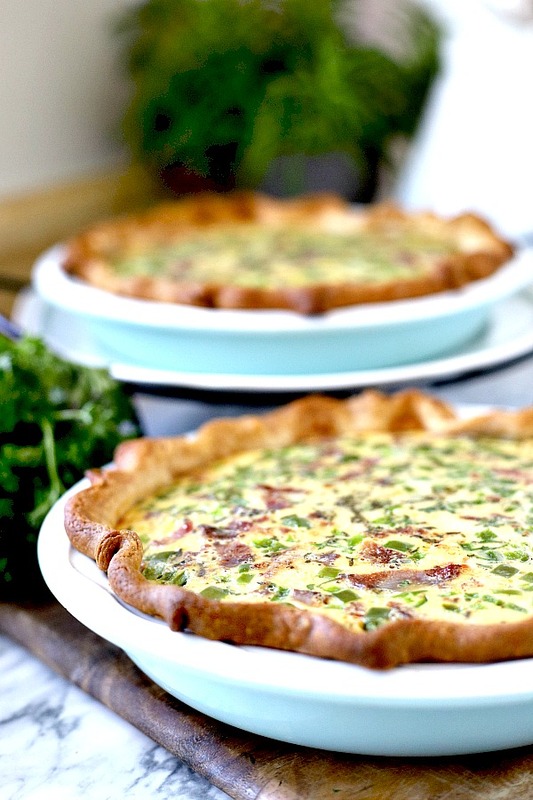 Quiche can also be served at room temperature. 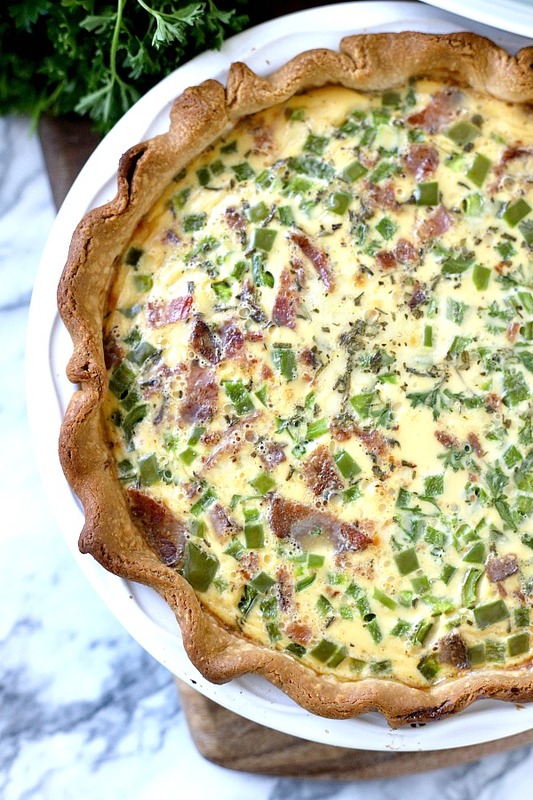 This recipe makes one quiche. We were having family and grandkids for Sunday dinner so I made two. 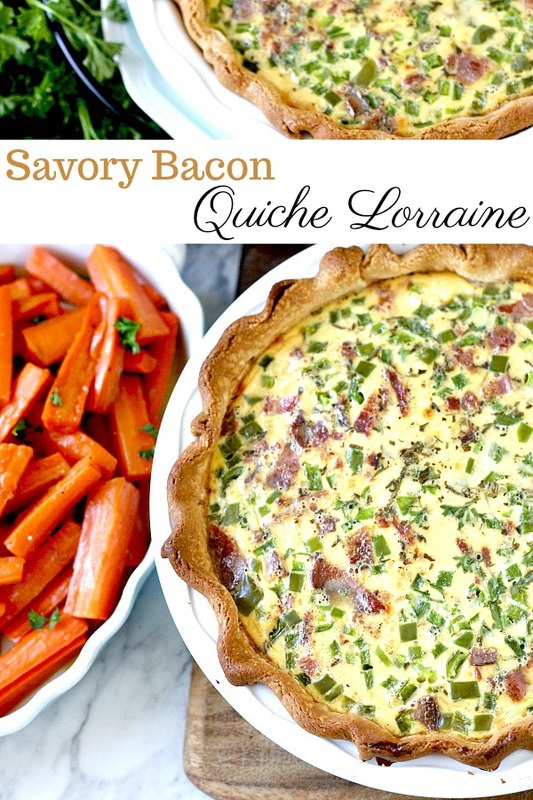 We love leftover quiche and try to plan for it! It is so good the next morning for breakfast, for lunch or as an extra dinner. 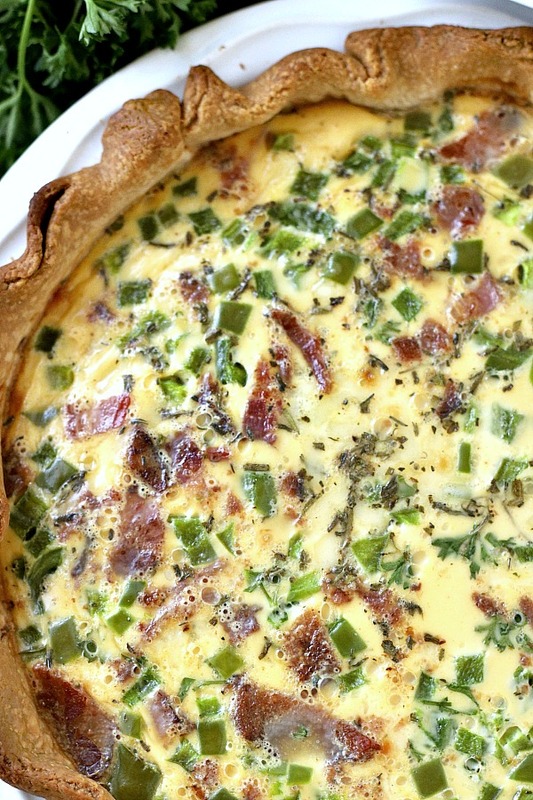 Quiche can be reheated for a few seconds in the microwave or covered in foil and reheated in the oven or toaster oven. 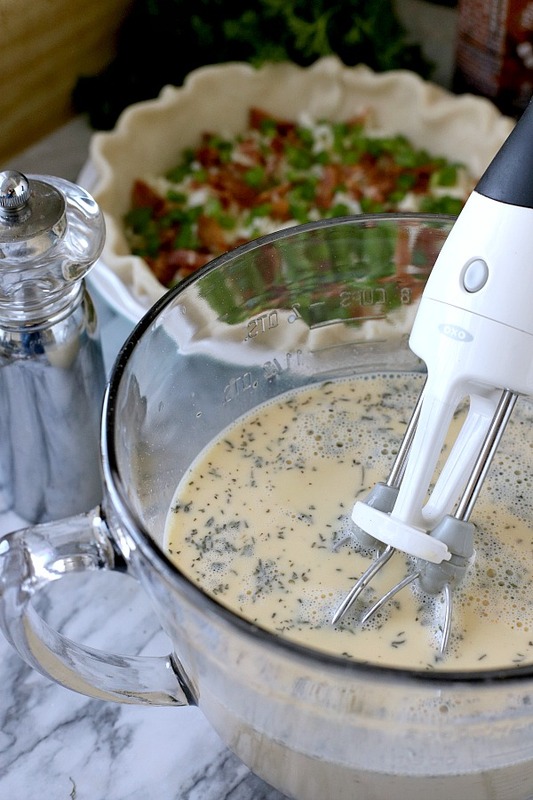 Lightly whisk milk, eggs, water, nutmeg, oregano, salt, pepper and Tabasco together; pour mixture over cheese. 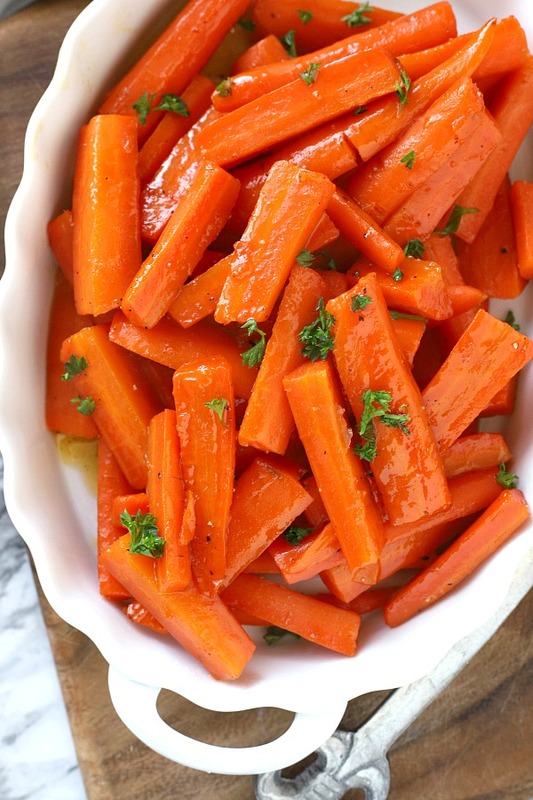 Sprinkle with parsley. Bake at 400 degrees for 30-40 minutes or until center has stiffened. Allow to rest for ten minutes before serving. 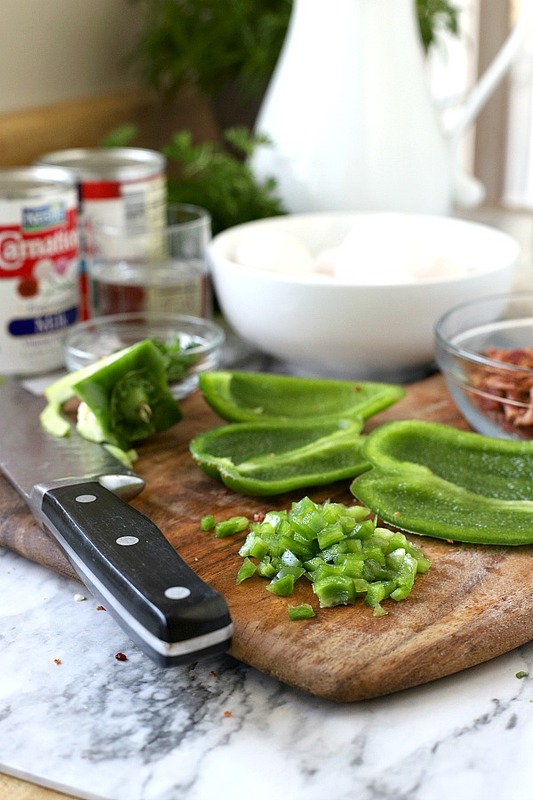 Someone had given me a recipe for this a long time ago and I never tried it. It sure does look good.